It's time to cut loose with Footloose!Time to cut loose! 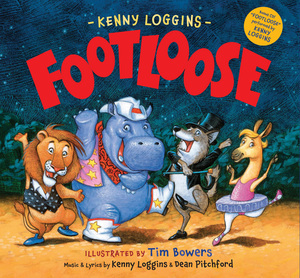 Have a rockin' time introducing children to the fun of Footloose, rewritten for children by the one and only Kenny Loggins. As a zookeeper named Jack joins the zoo animals in an all-night dance party, this new original story from Loggins is sure to get your feet moving. Little ones will love the cast of characters, including the rockin' chimp Louise ("Geez, Louise"), Mister DJ Elephant, the lemur Marie ("Oo Wee, Marie"), Milo the wombat, Luke the funkiest cat in the zoo, and so many more rocking, bopping, boogeying, tangoing, shaking, rattling and rolling animals! To order FREE marketing materials, an easelback sign and/or a printed activity kit, please email marketing@quartous.com with the subject “Footloose Event Kit”.